With BMW spinning out an increasingly long line of new models from small SUVS in the X1 to oversized 3-Series with the Gran Turismo, no one would be too surprised to read about the BMW Sportback. Although a longer, wider sports estate 6-Series would appeal to the market, this BMW Sportback is the creation of design student Ismet Çevik rather than anyone in the design studio for the German car maker. The Sportback undoubtedly takes its inspiration from the BMW 6-Series Gran Coupe but this concept takes the back doors away and adds a sportback to make a an Audi RS7 Sportback rival. The Audi’s capable of a top speed of 155mph and a 0-62mph time of 3.9 seconds so those are the figures a production ready BMW Sportback would be aiming at. 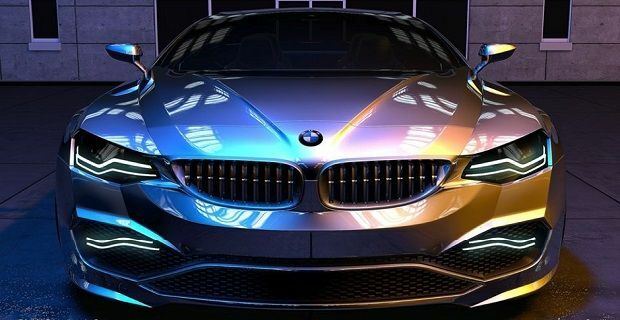 The BMW 6-Series Gran Coupe which student Ismet Çevik’s concept is based on is one of the more successful of design boss Adrian van Hooydonk’s BMW creations. The car’s proportions are excellent, which gives the car an elegance that other BMWs try hard to replicate. But Cevik’s concept does justice to the design adding a more angular and aggressive front end with light clusters that ignore the BMW design cue of double headlights. When the 6-Series Gran Coupe was launched the top of the range was the 650i which is a good for 450bhp and 479lb ft of peak torque. The 0-62mph time of 4.6 seconds is comparable to the Audi RS7 Sportback but all of these performance figures are blown out of the water by the BMW M6 Gran Coupé which produces 552bhp and gets to 62mph in 4.2 seconds. Whether there’s a future to the Sportback idea or not, this concept is one of the best we’ve seen from a design student. It matches a lot of BMW’s design cues and looks professional enough to make you think a Sportback BMW model could be on its way.